We found 10 episodes of More Than Just Code podcast - iOS and Swift development, news and advice with the tag “360idev”. This week we follow up on the case of an Oregon man who uses the title "engineer". Apple lowered its Q1 guidance based on lower expectations. Apple also starts assembling premium iPhones in India. Apple's new plans may reveal what projects will be worked on around the United States. Netflix has pulled iTunes billing for users. Picks: Gesture based app selection and organization, Learn Talks. We follow up on the new iPad Pro. We discuss Apple's stellar Q3 results. Apple is shutting down the affiliate program for the Mac App Store and App Store for iOS. We debate the merits of implicitly unwrapping optionals. Picks: RenoRun, Hacking my shell prompt so I make fewer mistakes working with Xcode projects, RESTed. After Show: We discuss the merger/shutdown of Slack and Hipchat. Our askMTJC wonders how many fingers we store on Touch ID. We follow up on how Apple will have us change how we use the next iPhone. We discuss how deep learning is used to shape Siri's voice, the cost of building apps, and HDR video. Jaime tells us about Microsoft and Amazon's will combine digital assistants. You can check which of your iOS apps won't work with iOS 11. Apple and Accenture will partner to build apps. We look at Google's release of ARCore as an answer to ARKit. Picks: WTF Auto Layout, HIG: Augmented Reality, 360|iDev 2017 Highlights. We recorded LIVE at 360|iDev 2017 with Tammy Coron, Joe Cieplinski and Jean MacDonald. 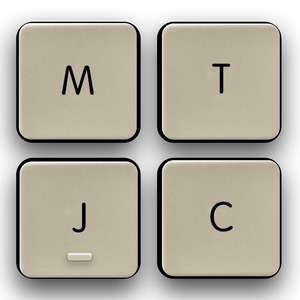 We discussed MacID in #askMTJC. We also followed up on Rubber Duck debugging and Chris Lattner's move to Google. New in 10.3 is a new certificate trust setting in iOS. We chat with the panel about highlights of the 360|iDev conference and the things coming from Apple: a new iPhone, Apple Watch LTE and Home Pod. Jean also illuminated App Camp for Girls and her new podcast SestraCast. Picks: Lavar Burton Reads,Toothfairy, Bartender, Red Hot Timer and Forest. Once again we are joined by Tammy Coron and Greg Heo as we answer #askMTJC questions about Objective-C framework tutorials and which Drobo to buy. We follow up rumors of Amazon Prime video coming to Apple TV, the Handbrake hack resulting in Panic software being stolen and potential issues crossing the borders with smart phones. We also follow up on rumors of MacBook Pro updates coming to WWDC. We discuss highlights of announcements from Google I/O's keynote. We take a look at what's coming in Swift 4. Picks: Kotlin For Android: An Introduction, Toggl - the Ultimate Timer, An Xcode playground showing off the new features in Swift 4.0. In EP 4, recorded live at 360iDev in Denver, we discuss; the value of customer engagement and it's impact on mobile development, highlights from the 360iDev 2014 conference, application fatigue, and what's in a name, Hyperlapse, Terrella & Swing Copters.